I'm sure you've seen the cinnamon roll hearts on Pinterest. While at the grocery store I saw a can of Pillsbury Cinnamon Rolls on sale so I decided to give it a try. 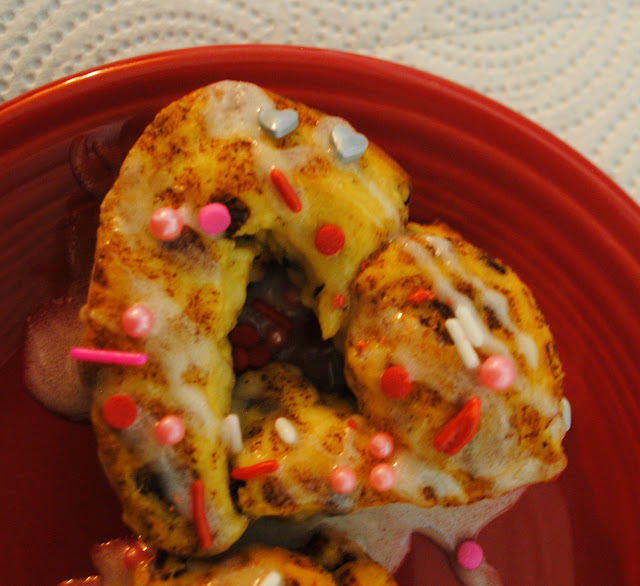 Now I've read that you need to get the flaky cinnamon rolls or the hearts don't turn out as well. The ones I picked up were not the flaky ones but I wanted to give it a try anyway. I mean, at a $1.29 I couldn't not try it. They would look fun on the Galentine's brunch table. I can see why you'd want to pick up the flaky cinnamon rolls. The regular ones don't roll out like the flaky ones do. As you can see I couldn't get some of them to roll out. And the ones I did get to roll out I could only sort of make into heart shapes. 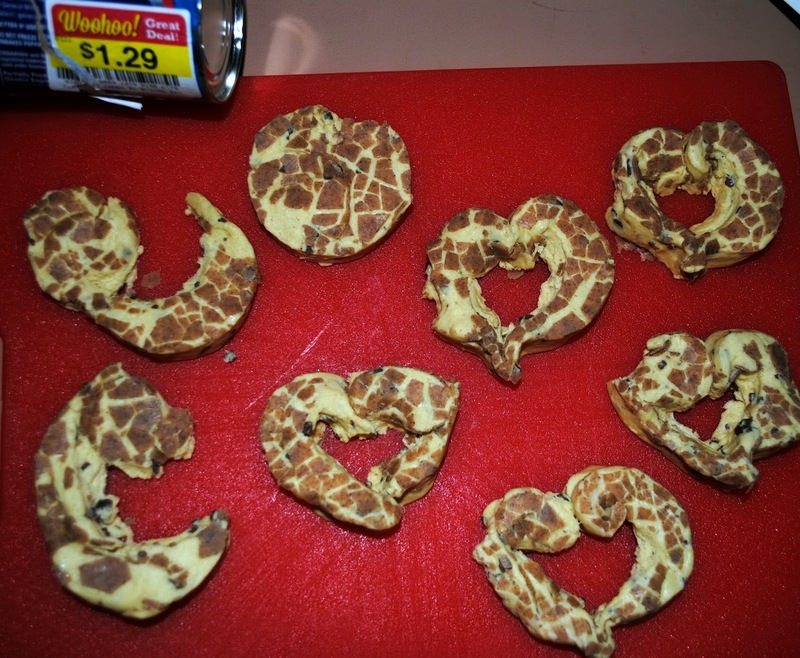 Cinnamon roll hearts ready for the oven. 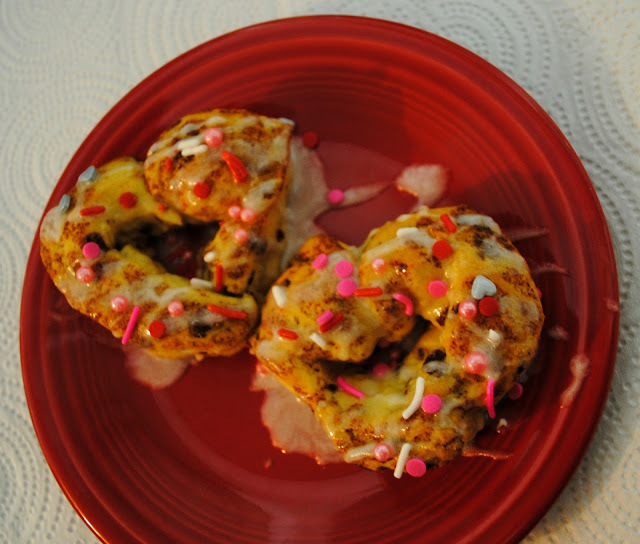 Aaaand, here's the finished cinnamon roll hearts. Food blogger I am not. No flawless food pic's here. Just real authentic food pics. The heart's didn't turn out too bad. You know I had to add Valentine's sprinkles. The sprinkles make them pretty. The one in front doesn't quite look like a heart and I bet if I used the flaky kind I could have achieved more of a heart shape. Perfect heart shape? no. But I'm still going to enjoy it for Valentine's breakfast. 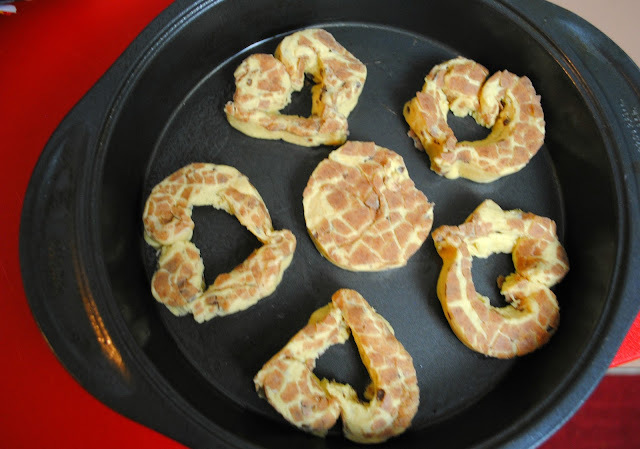 I'm guessing your girlfriends would still eat them too if you served them up at your Galentine's party. 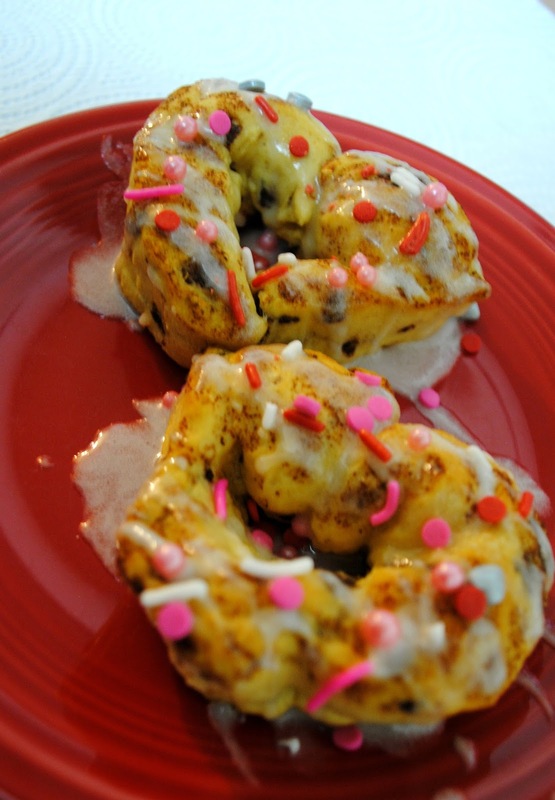 Have you tried to make cinnamon roll hearts?